With all of the anti aging moisturizers on the market today it's hard to decide which one best for you. There is also nothing worse than spending good money on a product that does not live up to your expectations. The following moisturizers will not only live up to your expectations, but they are all natural and organic so they are good for your skin and your health. Enjoy one of these moisturizers without the worry of harsh, damaging chemicals. Have more youthful, radiant skin naturally, without it costing you a small fortune! Trilogy Age Proof Replenishing Night Cream This is another super product from the anti aging Trilogy line. With this moisturizer you are definately bringing out the big guns. 10/10 women reported an all over improvement in the appearance of their skin and it is proven to increase your skin's moisture by up to 80%. Containing Avocado, Rosehip and Marula Oils this moisturizer is very high in essential fatty acids which promotes skin cell renewal and repair, and also improves your skin's elasticity. Trilogy products contain 100% natural ingredients and are vegetarian. They contain no Parabens Petrochemicals, Parabens, Pesticides, PEG's, GMO's, Harsh Surfactants, Synthetic Dyes and Fragrances. 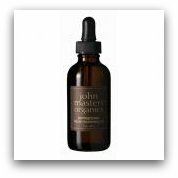 John Masters Vitamin C Anti Aging Face Serum This is a wonderful multi tasking moisturizer. It is suitable for both a day and night moisturizer. Vitamin C, Sea Algae, and Rosebud provide tons of moisture and antioxidants that help with collagen production. It provides skin with protection from enviromental damage, reduces the appearance of lines, wrinkles, and agespots. It also rejunenates skin and reduces the appearance of freckles. John Masters products are all free from Parabens, Petrochemicals and other harmful ingredients. Kimberly Sayer Restore Anti Aging Cream This popular organic line is endorsed by modeling agencies, has a celebrity following and has created quite the name for itself. Thankfully for us regular folk it won't cost you any more than the department store brands. Prices are very competitive. 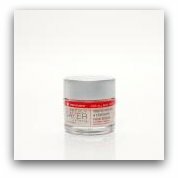 This deep penetrating moisturizer tightens, firms and soothes dry, aging skin. 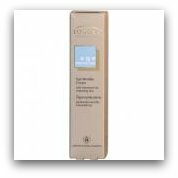 It protects skin from enviromental damage and restores skin tone. Some natural ingredients it contains are Sweet Almond Oil, Safflower Oil, Coconut, Sea Algae Extract , Shea Butter and Borage Oil. These natural ingredients stimulate collagen production and improves skin's elasticity. Logona Age Protection Cream Available in 44 countries now, this is one the most advanced natural beauty brands, and one of the most economical. This day cream is specifically designed to protect and meet the needs of maturing skin. Shea Butter, Broccoli Seed Oil and Argon Oil leaves skin extremely soft and silky, Aloe Vera Extract deeply hydrates and White Tea and Vitamin E protect your skin naturally from enviromental damage. Logona products are made with certified natural ingredients and contains no Parabens, Petrochemicals, Paraffin, Silicone, Synthetic Fragrances and Dyes. 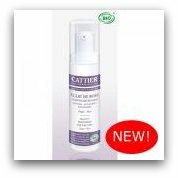 Cattier Nectar Eternal - anti age, anti wrinkle treatment This anti aging moisturizer focuses not only on lines and wrinkles that you may already have, but also focuses on preventing new ones from forming. Argan Oil and Vitamin E deeply moisturizes and firms the epedermis. Micro-algae Green Extract makes skin supple and toned. Organic Sunflower Oil, Coconut Oil and Rose Water together moisturize and sooth while providing plenty of hydration. It smooths lines and wrinkles and improves your over all complexion, making skin appear more youthful. Cattier products are made with certified natural and organic ingredients and contain no Petrochemicals, Parabens, Synthetic Dyes and Fragrances. Enjoy one of these natural anti aging moisturizers and see the difference in your skin!